Lovely stay ... We stayed over a night before enroute to Perth and it was a lovely one. Strategic location with swift check in, walking distance to cafes, eateries and other scenic places like the beach etc. Recommemded. We are situated only 100 metres from the heart of the city, and the beaches. 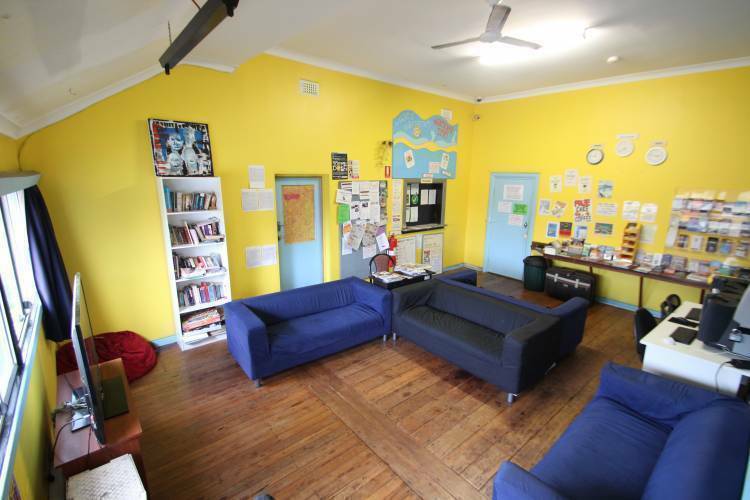 Our accommodation includes singles, twin, doubles and dorm style rooms, all of which are clean and comfortable. 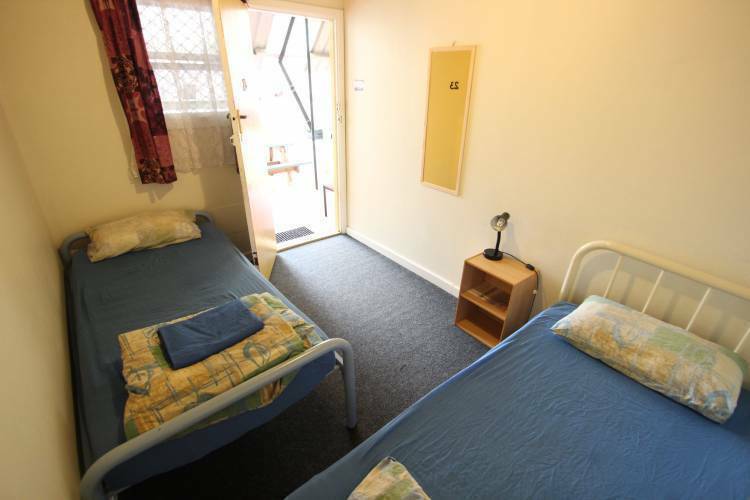 We have seperate male and female communal bathrooms, laundry facilities, a fully equipped kitchen, dining area, lounge and games room. Our gardens and barbeque area are the perfect place to relax and meet new friends! Bunbury is the Gateway to the South West and offers something for everyone. Whether it be getting back to nature and visiting our friendly dolphins, feeding the local kangaroos or taking a walk through the Tuart Forrest or 10, 000 year old mangroves. Head to one of our golden sandy beaches where you can try body boarding in the surf at Back Beach or have a more relaxed swim in the calm waters of Koombana Bay. For the more adventurous traveller you can Sea Kayak with the dolphins, explore W. A's newest dive wreck; The Lena or head for the sky by taking the controls and flying a small plane. In the evening visit one of the many restaurants, cafes, bars or one of our three nightclubs to end what would have been a perfect day. How could we forget when everyone gets together to share stories, have fun and make new friends. Once your booking in confirmed and the date is not within the penalty free period for cancellation, you must pay for, prior to or at check-in, the total number of guests that you have booked for, even if some participants of the booking do not arrive or have cancelled. It is your responsibility to seek reimbursement from the absent booking participant if you wish to do so. The front door and gates to the car park are locked 9PM to 8AM. Free parking is available at the front or on the street from 5pm – 8:30am if arriving after hours. If you require early or late access to the premises please contact us. 5AM to 8AM - Please inform us at least 3 days prior to your arrival or when you check-in and we will organise an early check-out for you. 8AM to 10AM - Except on Public Holidays, Reception will be open for check-outs. If the office is closed, please follow the simple directions at Reception to locate the weekend staff. 10AM to 11AM – You may request a later check-out when you check-in but this is subject to availability. Items missing from room at check-out will be replaced using Security Deposit. Crockery & Cutlery to use, given to you at check-in. Please wash & return to your room after use. The communal kitchen is fully equipped to prepare your own meals. Please wash all pots & pans and your own Crockery/Cutlery Set immediately after use. Store your Crockery/Cutlery Set in your room. Store your food in kitchen fridges and identify them with food tags provided. Do not consume any food belongings to others. The laundry is open 24/7 and coin operated. Washing machines, clothes dryers and an iron is available. The communal bathrooms are open 24/7 and very clean. We are only 2 minutes’ walk to the lovely Bunbury Beach. Main street, restaurants and shops. For further information please see our FAQ page on our website or email us. Wander Inn is a 20 room hostel with a beautiful outdoor area. The rear tables are a favourite position for all our guests. It is a great place to meet and speak to people and make new friends. 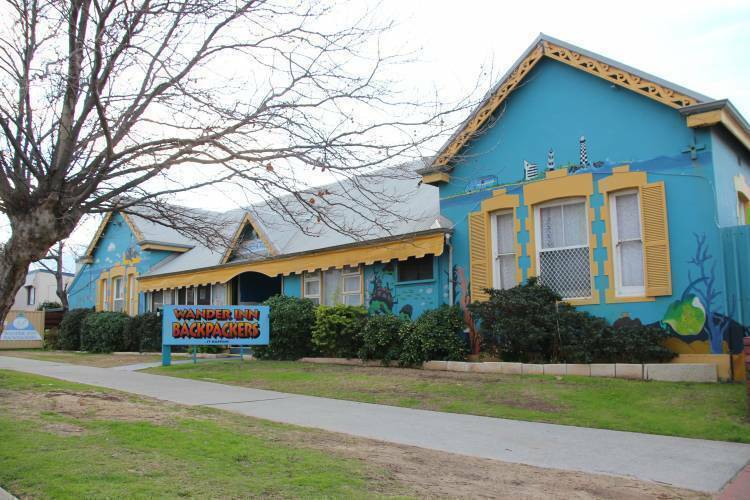 We offer a fully equipped kitchen, coin operated laundry, clean communal bathrooms, free off-street parking, free use BBQ and pool table, free Toast, Jam & Vegemite Breakfast every morning. All rooms are clean and quiet. 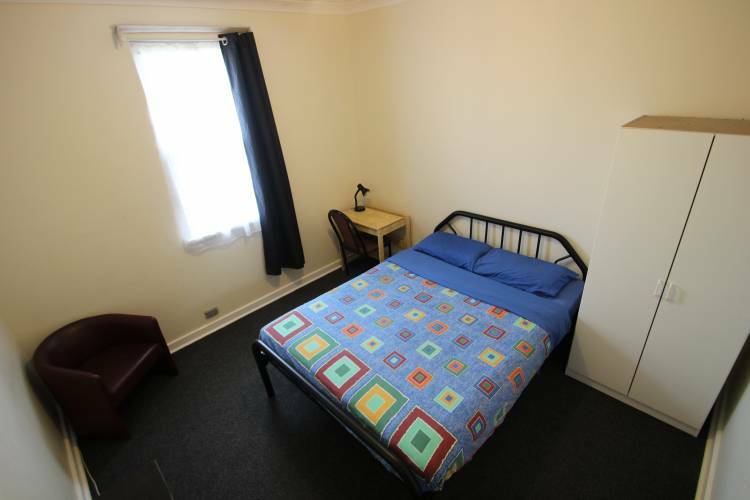 All rooms include bed linen and access to all the communal facilities including bathrooms, fully equipped kitchen, Free off-street parking, Free Wi-Fi, coin operated laundry, Free Toast-Jam-Vegemite Breakfast every day. Wander Inn is located in a quiet street only 1 minutes walk to the city centre and beach. If you wish to cancel or change your booking, you must notify us at least 48 hours prior to the day of your booking. If you fail to provide 48 hours notice prior to cancellation, you will be charged for the first night of accommodation you had originally booked. By confirming your reservation at Wander Inn Bunbury Backpackers with credit card details, you agree to the above terms of the booking. 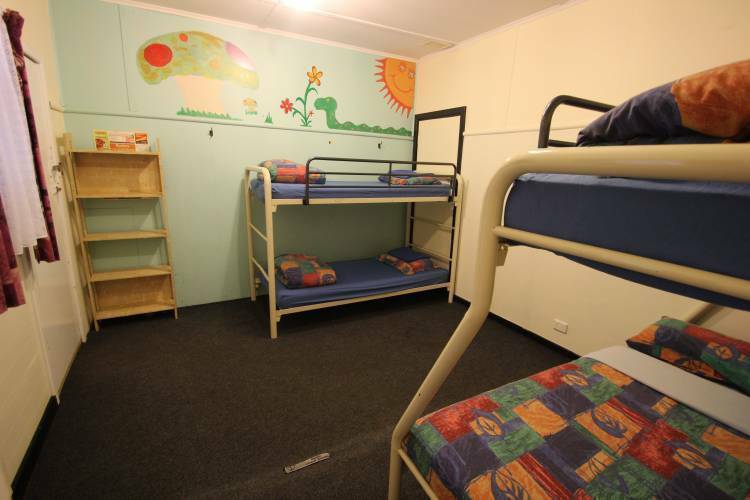 Once accommodation has been paid for in full on arrival at the hostel it is non refundable. The acceptance of changes to bookings is solely at the discretion of management. Photo Identification will be required at check-in to the satisfaction of Management. We reserve the right to refuse entry. From Bus Station: Head up Wellington Street and turn right onto Victoria Street. Take a left west on Clifton Street . We are less than 100m on the right hand side. By Car from Perth: Head towards Town Centre (past Dolphin Discovery Centre) on Koombana Drive. Head straight over 3 roundabouts (not literally) and we are on the right hand side. Perth is about 185km from Bunbury. *TRANSWA - and select SW1 (Bus), SW2 (Bus) or Australind (Train)for options. Train - It is best to catch the morning train to Bunbury (Mon' to Sat') and there will be a free bus to take you to the city centre bus station (next to the visitor centre). 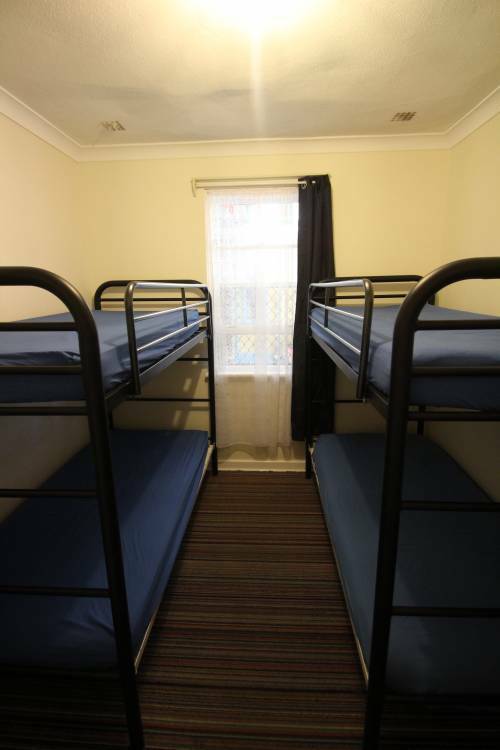 The hostel is 10 minutes walk from the city centre bus station. If you catch the afternoon train, you will have to catch a taxi to the hostel. (The train station is 4km away from the city centre). Bus - You can also catch a bus to Bunbury. You need to ensure that the bus takes you to the city centre bus station and not the train station. South West Coach Lines (Veolia) bus station is in the city centre. TRANSWA bus station is at the train station which is 4km outside of the city centre.